Summer is in full swing but it won't be long until we are welcoming those new little loves into our therapy room and hearts. I love to create a warm environment for my students, a living room of sorts. A couple years ago, I created a Photo Collage with my own crew to display in my room. All you need is a large box (I used a left over wardrobe box from moving), a picture frame with a piece of black paper inside (we will add the words later) and the free (where have you been all my life) website PicMonkey. Here is the final product but I'll show you the steps along the way, don't worry. I had this printed on a banner at my local office supply store... super cute! 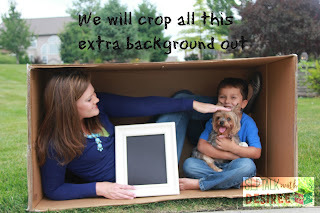 First, get yourself a box, rent some kids (or have some, whatever is easier ;) ), a frame and snap away. Don't worry about what look you are going for, just play around and have fun. My room was blue and green so we wore those colors, but really anything will work. If you are anything like me, there will be PLENTY of out takes. I do recommend taking the photos on a flat surface. Don't worry about the background, we will crop that out later. I took mine on the grass but I would recommend the driveway/floor if you can... it is easier to crop out than random blades of grass. Zoe even joined in on the fun! Next, after enjoying a nice cold beverage, hop on your computer and go to the PicMonkey website. Choose Edit, then select the first photo to edit from your computer (you may have it saved on your computer, flash drive, photo card, etc.). You will edit each photo that you want in your collage individually first to crop out the background and add text to your frame. Do not worry about the Log In part, I do it all without ever logging in. Next, Crop your photo so that you mainly have only the box. Do not worry if it isn't perfect, it will all work out when the collage comes together because we will select brown as the background that will divide the photos in your collage. Okay, now it is time to add some text. Select the Tt box, then select the font that you would like to use. Unless there is a crown next to the font, it is free to use (all of mine were). Type your text and change your font color to white (see the photo below). Position the text within the frame and rotate it as needed. It will look like the text was there all along! When you are finished editing your photo, make sure that you save it by clicking Save and select the name and where you want to save it on your computer. Edit your next photo by selecting Open to select your next photo. It will warn you that you will lose changes to your current photo, but as long as you have saved it already you are good to go! Edit each photo that you would like to include in your collage the same way. Next, you will select Collage from the main PicMonkey page as shown below. Select Layout icon, then select Square Deal. I chose the 9 square option. Once the squares are open, you can expand the collage to be wide and then it will take on a rectangular shape. To add your photos, select the Images icon (right above the Layout icon) and select photos from your computer (the same ones that you previously edited and saved). Drag each photo to the boxes that you would like them placed. Next, you will change the background from white to match your box. This will make it look like the boxes are all stacked on top of one another. First, select the Paint Palette icon on the left, then select the Dropper symbol. Make sure that Background is selected (not Cell). This allows you to match the exact color of your box. You can change the spacing to your preferred sized, then Voila! Make sure to SAVE your collage. You now have a fun, personalized photo that you can display in your therapy room or home. I printed mine on banner paper at my local office supply store. With the sale that they offered, it cost me about $14.99. You can also upload it to print as a poster or banner on Vistaprint. 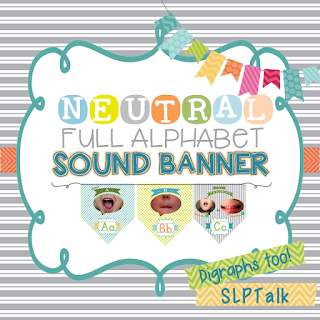 Now that you have your poster all set up, are you looking for an easy print and go addition to compliment your speech room or classroom? 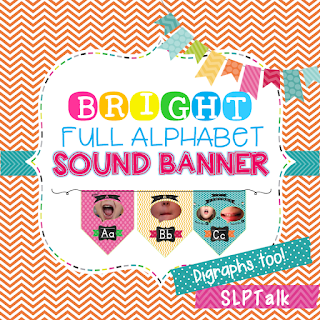 You can download a fun Alphabet Banner (including digraphs and er) in either a Bright or Neutral version to compliment your decor while providing photo cues and spelling patterns that are compatible with Orton Gillingham spelling instruction. My students relate with the child friendly mouth photos that reflect correct sound production by their own peer group. 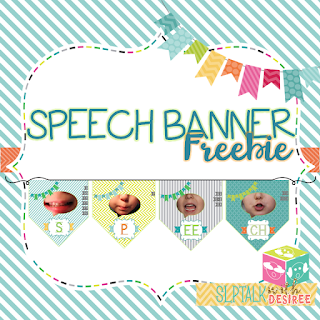 You can download also this free Speech Banner here to welcome your students into your room or create a hallway display. Thanks for stopping by. Have fun decorating your home away from home! Program Elements alternativephotoshop.com is our pick for best consumer photo-editing program for its ease of use, fun creativity and underlying power. New for this year is the ability to auto select your best photos for slideshows, a tool which replaces closed eyes, and a few new Guided Edits.